As a psychologist, I see many teens immersed in the college planning process. Unfortunately, the sequence of events that unfolds typically follows this well-worn path: anticipation and excitement; taking the plunge with applications, and then, ultimately, disappointment resulting from rejections or lack of financial aid. Why does this discouraging outcome repeatedly occur? Why don’t schools warn students and families about potential pitfalls and miscalculations? What are some roadblocks that could be averted? School guidance counselors are notoriously overworked, and spend most of their time managing day-to-day academic and behavior problems. Many are only familiar with local colleges and may be unaware of admissions standards at more distant schools. Sometimes colleges are recommended to students despite little chance of admission and some colleges that might be ideal are never even suggested. Families need to recognize that they cannot solely rely on schools to provide them with information and guidance, especially in enough of a timely manner for such a critical decision. Schools often fail to alert students about tests and class choices that can impact college admissions. Students may not realize that many “reach” schools require multiple SAT Subject Tests and schools do not always notify students about the optimal time to take these tests. Most students start paying attention to Subject Tests in 11th grade, but then are limited to taking those Subject Tests associated with classes they are studying at the time. Schools sometimes omit information about which classes are viewed favorably by colleges, and may not offer sound advice about dual enrollment or extra-curricular activities. Bottom line – Don’t wait until 11th grade to plan; start early and be clear about your decisions. Given the likelihood that minimal guidance may be available through school, it is up to students and parents to research colleges, the admissions process, and financial aid. The internet and college guidebooks offer a wealth of information, but they can also be overwhelming. That’s why a free service like Road2College can be valuable in curating information and bringing parents trustworthy resources to help them in the college planning process. In addition to online information visiting colleges gives high school students a first hand look at what a college has to offer. Many prospective students find it helpful to eat in the dining hall, spend time in the student center, and sit in on a few classes. Anything that allows students to “see themselves there” is beneficial. Some students choose a school based on one overriding factor. It could be a great sports team, reputation as a party school, or location in their favorite city. Even basing the decision on a specific major can be short-sighted. College lasts at least four years and the right school needs to fulfill a range of needs: academic, social, financial, and the right proximity from home. Sorting out and ranking priorities, and coming to a compromise is critical. A college’s brand and prestige can seem very attractive, seducing students to apply, even if a student may not have the academic credentials to get in. Some students set their sights on colleges where there is little chance of admission, bypassing amazing colleges with less prestige. In today’s world of college marketing, students receive tons of direct mail from colleges enticing them to apply. Students look at a school’s acceptance rates, and if their GPA or SAT scores fall near the 25th percentile, they assume they might have a chance. The harsh reality is that unless they have a “hook” (recruited athlete, underrepresented minority, geographically desirable, legacy applying Early Decision, or have an unusual and exceptional talent), it is highly unlikely they will be accepted. And most of the highest “reach” schools really do expect outstanding additional qualifications well beyond a 4.0 GPA or 2300 SAT. The competition is just too intense, and many capable students are left feeling rejected and discouraged. Most colleges are need-aware; they take into account financial need when making admissions decisions. While a rare few are need-blind, most do not have the endowment to ignore the financial costs involved. Many claim that financial need does not affect decisions; yet, unless there is a firm need-blind policy, students may be rejected even if their academic qualifications meet the school’s admissions criteria. Many families are blind-sided by strict financial aid policies. Despite financial aid calculators on college web sites, many students and parents hope the college will come through with more. While some colleges will negotiate, it is unlikely that much more will be offered after acceptance. And loans are obviously much less desirable than grants or scholarships. Unfortunately, some colleges will be financially out of reach. Set your sights on colleges you can truly afford. 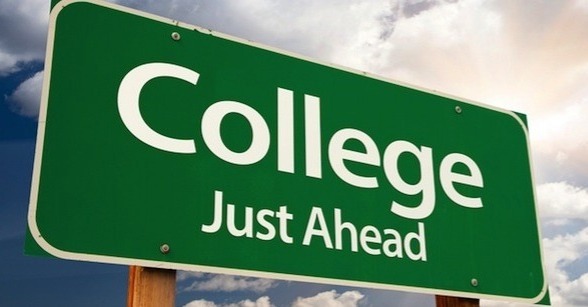 If you or your child are in the process of planning for college, I urge you to do the research needed to determine what colleges offer the best social and academic fit, and set realistic goals. Gail Post, Ph.D. is a licensed psychologist in practice near Philadelphia, Pa. She works with adults and adolescents, and also has an educational consultation service for families of gifted and high ability children. She has lectured, written articles, and has a popular blog, www.GiftedChallenges.com. Her website is www.GailPost.com.